Each year, I do a pretty intense spring cleaning. In fact, I use this comprehensive spring cleaning checklist which I previously shared to the Freebie Finding Mom site. During this period, in addition to de-cluttering and de-griming, I like to do a little re-decorating. In the end, I’m always exhausted, but the house is totally refreshed and that’s a great feeling. The decorating ideas for spring had to be frugal. Re-decorating isn’t a must, so I wanted to keep the budget as small as possible. Preferably non-existant but that really does limit the decorating ideas for spring available. The decorating ideas for spring had to be easy. I’ve said it time and time again: I’m no DIY diva. 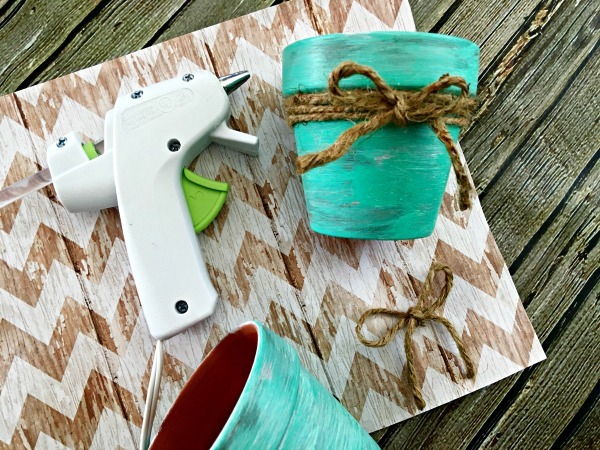 Sadly, I can not work wonders with a glue gun, so I narrowed my search for decorating ideas for spring to “beginner level” projects. The decorating ideas for spring had to be fun. Based on those requirements, here are 3 decorating ideas for spring I love. I love this DIY project for colored salt dough leaf impressions for a couple of reasons. One, you almost certainly have everything you need to pull it off already in your home (or backyard). Meaning this decorating idea for spring is basically free. Two, this is a super easy decorating idea for spring. In fact, I originally put it together for kids, so anyone can pull it off. Tip: You aren’t limited to leaves with this decorating idea for spring. You could use any plant. So, what are you waiting for? Grab the kids and head outside to find the perfect greenery for this decorating idea for spring. Here’s another easy and cheap decorating idea for spring. Head to your local thrift shop (or a yard sale) and snag glasses, clear containers, or vases on the cheap. Then display rocks, shells, pine cones or other found items around your home. I think I saved the best decorating idea for spring for last. What’s so great about it is it allows you to bring living pieces of nature into your home. 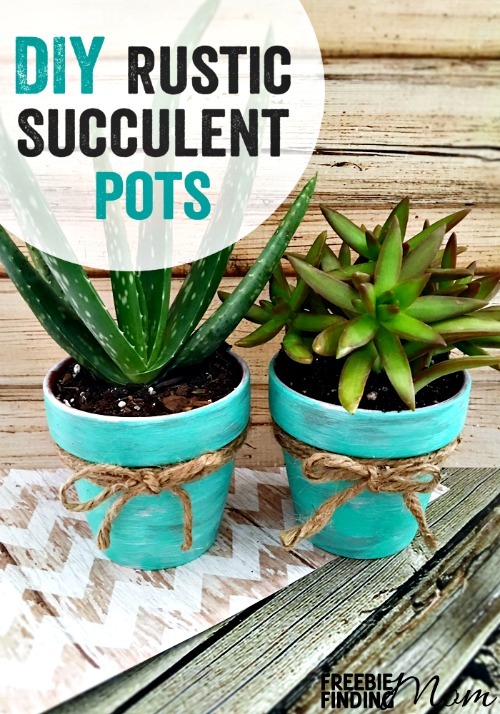 Even if you don’t have a green thumb, this is still a great decorating idea for spring because succulents aren’t difficult to care for. You practically have to try to kill them. This decorating idea for spring may cost a little more than the other two, but it’s still easy on the budget. Keep reading for step-by-step instructions on this decorating idea for spring. 1. Apply a small amount of white paint to the end of the foam paintbrush. 2. 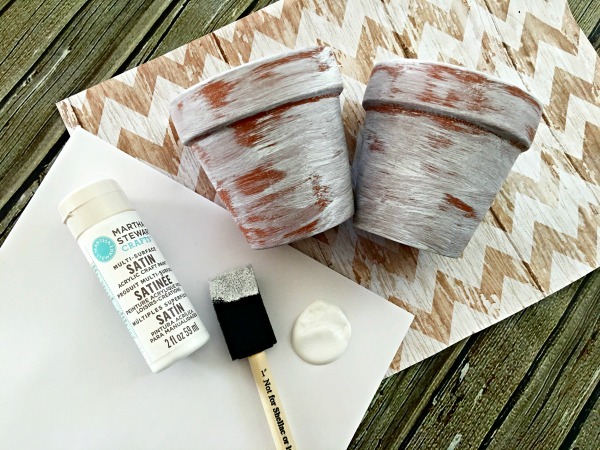 Using a back-and-forth motion, lightly paint both terra-cotta planters white. Note: Do not apply the paint thickly. You want to still be able to see some of the rust orange color of the planters. 4. Repeat steps 1-3 with the teal paint. 5. Hot glue the end of a piece of twine under the lip of each terra-cotta planter. 6. 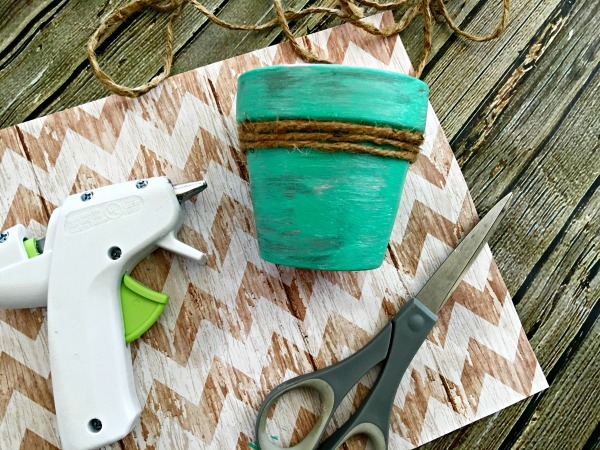 Wrap the twine around the planter three times and glue the unsecured end next to the previously glued end. Note: The top loop of twine should be resting snuggly against the planter’s lip. 7. Cut two 5 inch pieces of twine and tie each into a bow. 8. 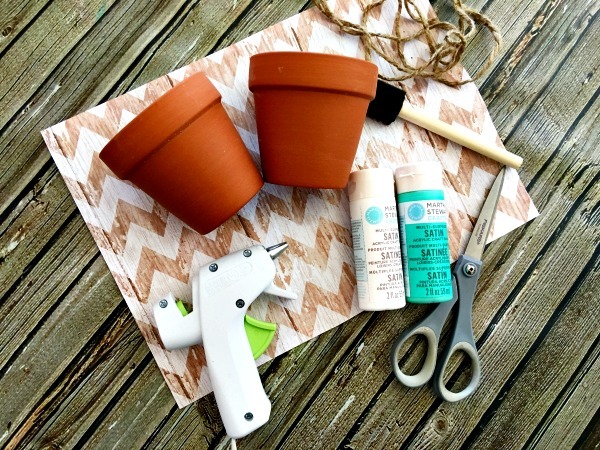 Hot glue a bow to the front of each terra-cotta planter on top of the twine. 10. Place in your home and enjoy! Want more decorating ideas for spring and DIY projects? 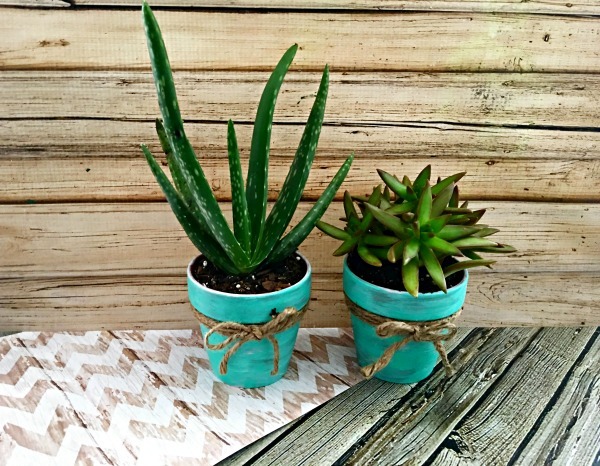 Follow Freebie Finding Mom’s DIY Fun Pinterest board.